Our vision for Chabad at Yale is of a vibrant, modern center that provides educational, social and recreational programming for students and faculty. We strive to convey a compelling, rich, and meaningful Judaism that will inspire all who come in contact with it. 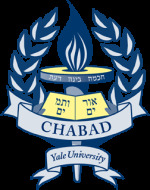 The values that lie at the heart of Chabad at Yale are embodied in Torah and Jewish tradition.